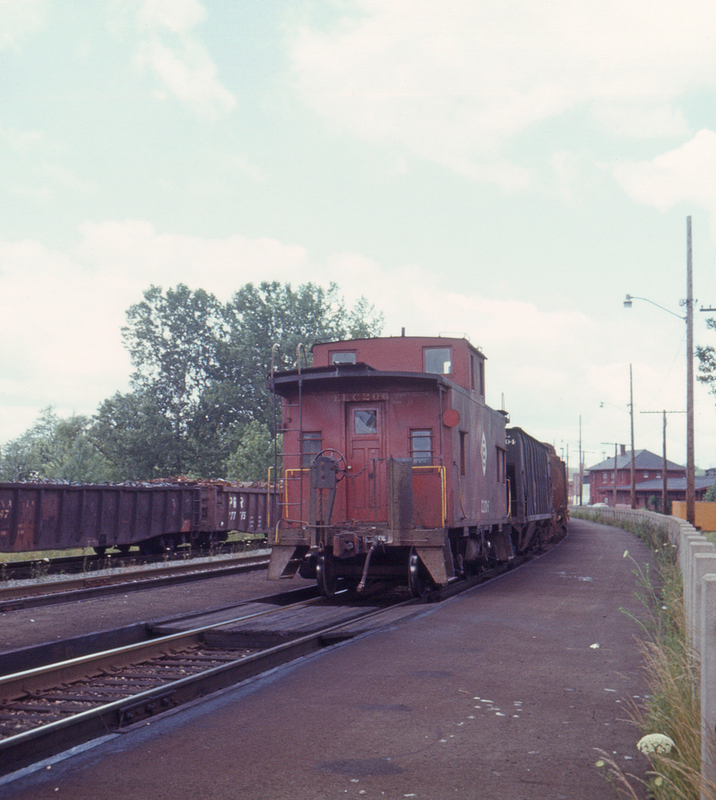 Another look at the westbound hot metal "bottle" train as it passes the Warren, Ohio freight depot (the red brick building at right). Erie Lackawanna caboose no. C206 brings up the rear, while the Baltimore & Ohio's scrap metal train still waits at left, probably waiting for clearance to back onto the EL main to access the steel mill trackage to the south.